Katuah Market™ will be opening in late summer of 2013 in the Biltmore Station shopping center in the Biltmore Village area of South Asheville. The Katuah Market™ concept combines an offering of best-of-market local, natural, and organic foods with the convenience and service of a corner grocery store. With John Swann, one of the founders of Greenlife Grocery, at the helm, we know the focus will be community-based and strongly committed to supporting local food. 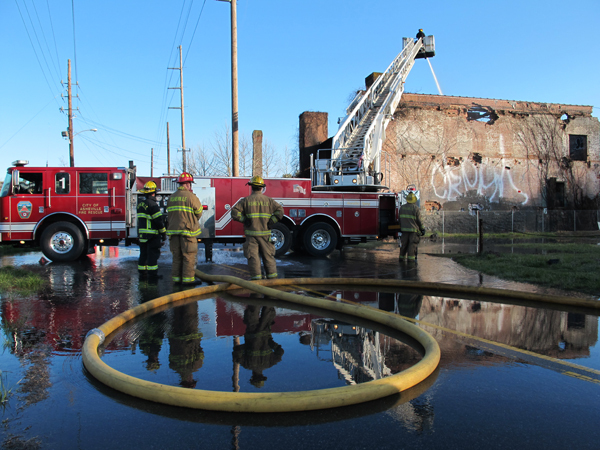 There have been a rash of intentionally set fires... 2 on the Cotton Mill Ruins property @ 159 Riverside Drive.... 2 on New Belgium's site along Craven Street & 2 @ 40 Simpson Street in our River District, as well as 4 others @ various locations in Asheville in the past few months. Asheville Fire & Police Departments ask our community to report any suspicious activity to the non emergency # @ 828.255.1110 or to Crimestoppers @828.255.5050. You can also send a tip to APD by texting "APDTIP plus your tip" to 274637 (CRIMES). 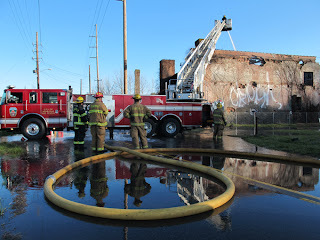 The entire riverfront community is saddened by this useless and dangerous activity. 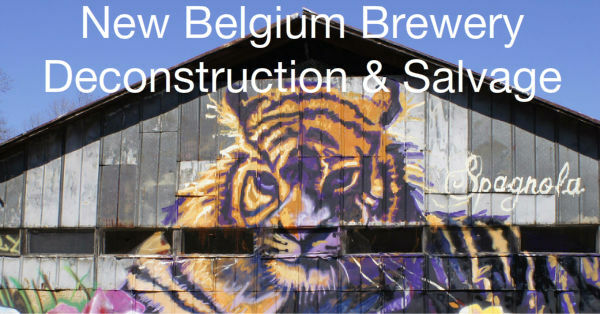 Johnny Penland's Auction House, an institution on our riverfront for 25 years, was scheduled for demolition & reuse by New Belgium Brewery. The fires of April 5th make that no longer possible. The bad news: 6,000 foot of heart pine flooring as well as other major structural lumber, planned for reuse, on site, to honor this legacy, is gone. 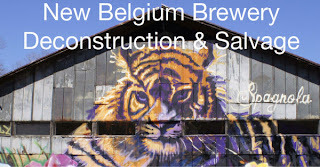 The good news: Dustin Spagnola's tiger mural, commissioned by New Belgium Brewery, while lost, will be re-commissioned. Bradley Barrett of Old World Salvage has a newsletter to inform the community of surplus salvage, being made available to neighbors, at no charge. Please sign up here if you are interested. 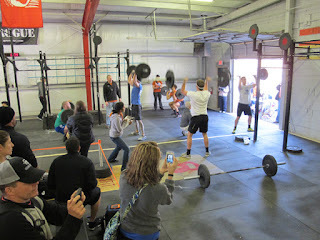 CrossFit Pisgah hosts the inaugural River Ruckus a 2-day CrossFit competition to be held on the banks of the French Broad River & up on West Haywood Street in Asheville’s River Arts District on April 6-7, 2013. The event is part of the national Garage Games series and marks the first regional CrossFit competition to be held in the Asheville area. Both days, there will be 4 workouts that combine movements from various disciplines such as powerlifting, endurance, Olympic weightlifting, gymnastics, mobility.